Education is now provided in the Griffin area by the Griffin School District, the Steamboat Island Cooperative Preschool, and home education. Historically, a number of different public school districts have educated children in the Griffin area. These school districts were created by Thurston County in the early years of Washington Territory and statehood. Initially, the Griffin community was included the Olympia School District which was created by the first Board of County Commissioners for all of Thurston County. Although this school district was countywide, its schoolhouse was constructed in Olympia and probably only the few white school children living in that town attended the school. Thurston County soon created additional school districts throughout the county as settlers moved throughout Thurston County. More and more school districts were created as settlers moved to more remote areas. Mud Bay School District was formed around 1870 and served all of the northwestern portion of the county, including the Griffin community. The primary schoolhouse was located on John McLane’s claim off of what now is known as Delphi Road. However, it appears that the school district operated a school in the late 1870’s at the log cabin of John and Ella Olson, which was located in what is now called the Holiday Valley Estates. Schneider’s Prairie School District was created in 1881, occupying all of what was then known as the Griffin peninsula. The Summit Lake School was also created in 1881, occupying the area around Summit Lake. Summit Lake School District was gradually reduced in size with portions of its area being transferred to adjacent school districts. This included the northern portion of Summit Lake, which was transferred to Schneider’s Prairie School District in 1919. 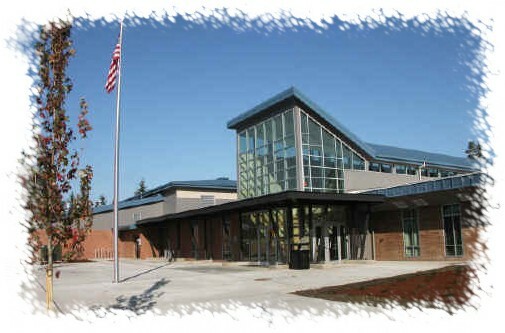 The last schoolhouse serving Summit Lake School District is now the Summit Lake Community Center. What remained of Summit Lake School District consolidated with McLane School District in 1940. McLane School District eventually consolidated with Olympia School District. School continued to be taught at the Olson cabin after the new Schneider’s Prairie School district was created. The first students were the children of John and Elizabeth Zandell and of Thomas and Mary Kearney. Both families lived in the flat area west of the Olson cabin. A new schoolhouse was constructed when the children of Swan and Molkina Solbeck were old enough to attend school. The Solbecks lived on Schneider’s Prairie. Molkina Solbeck was the daughter of Konrad Schneider, who purchased the original donation land claim in 1866 on what now is called Schneider’s Prairie. This new schoolhouse was constructed on what was known as the Morse property at what is now the north end of Whittaker Road immediately south of the Highway 101 overpass. A larger schoolhouse, with a second story residence for the school teacher, eventually was built at the same location. Territory was gradually removed from Schneider’s Prairie School District to create a number of new school districts. Hunter Point School District was created out of the north end of the Griffin peninsula in 1891. The schoolhouse was located southwest of the current intersection of Steamboat Island Road and Hunter Point Road. John Fry School District was also created in 1891, occupying the middle portion of the Griffin peninsula between the Hunter Point School District and what remained of the Schneider’s Prairie School District. The first schoolhouse was a log cabin with a dirt floor near where the fire hall is currently located at the corner of Gravelly Beach Loop and Young Roads near where the new firehouse is located. A second schoolhouse was located on top of the hill west of the first schoolhouse. Oyster Bay School District was created out of the southwest portion of Schneider’s Prairie School District in 1907. The schoolhouse was located near where the fire hall is currently located at the corner of Oyster Bay and Ashram Roads. These new districts eventually reunited with Schneider’s Prairie School District, which was renamed as the Griffin School District. Oyster Bay School District consolidated with Schneider’s Prairie School District in 1922 after the Oyster Bay schoolhouse burned to the ground. John Fry School District consolidated with Schneider’s Prairie School District in 1923. The Schneider’s Prairie schoolhouse burned to the ground in the summer of 1926. Arthur Griffin, a superior court judge from King County, owned considerable acreage on Schneider’s Prairie at that time. He gave the school district five acres of land in exchange for the two-acre site where the burned schoolhouse was located. Schneider’s Prairie School District was renamed as the Griffin School District in honor of Judge Griffin. Students were temporarily housed at other locations while a new schoolhouse was built. Older students attended school at the old, two-story Grange Hall, where the current one-story Grange Hall is located. The abandoned second John Fry Schoolhouse was reopened for the younger students. A new brick schoolhouse opened at the new school property in the spring of 1927. Hunter Point School District consolidated with Griffin School District in 1934. A two-tiered system of school finances was used to educate children. Each county imposed a countywide property tax and distributed the money to each school district to pay for its operations. However, the adult males in each school district were required to provide labor or money for the construction of school facilities. Like the system of providing roads, this forced labor requirement was soon abandoned. This labor was organized at annual school district meetings. The newly created state government began providing some money for school operations. County financing of schools was gradually reduced and finally eliminated. Today school finances are a joint State and local school district responsibility. Griffin School has changed since its early days. A new 12-classroom facility opened in 1969 and the old 1927 building was torn down. A middle school complex was added in 1978. Additional classrooms, and a gymnasium, music room, kitchen and cafeteria were added in 1989. A major remodeling project was completed in 2004. Griffin School District purchased property on 41st Street that is now operated as a public park in conjunction with Thurston County. Another county park is located at Frye Cove off of Young’s Road. Steamboat Island Cooperative Preschool provides preschool services at a facility located next to the Puget Sound Power and Energy substation located at the corner of Steamboat Island Road and 41st. – text by Steve Lundin. Steve Lundin is a long-time resident of the Griffin community located in northwest Thurston County. He received a B.A. degree from the University of Washington and a J.D. degree from the University of Washington Law School and recently retired as a senior counsel for the Washington State House of Representatives after nearly 30 years. He is recognized as the local historian of the Griffin area and has written a number of articles on local history and a book entitled Griffin Area Schools, available from the Griffin Neighborhood Association at a cost of $10. Lundin also wrote a comprehensive reference book on local governments in Washington State entitled The Closest Governments to the People – A Complete Reference Guide to Local Government in Washington State.